This is much better than the vintage suggests. Generalisations be damned! No racking, no fining or filtration, it curiously shows less of the tilled-earth wildness of recent d’Arenberg releases. Deep red maroon in colour, this is an impressive effort for the season. There’s that hint of mulch you see in plenty of wet year ’11 Vale reds, but the ripe fruit and structure still seems up to the task. 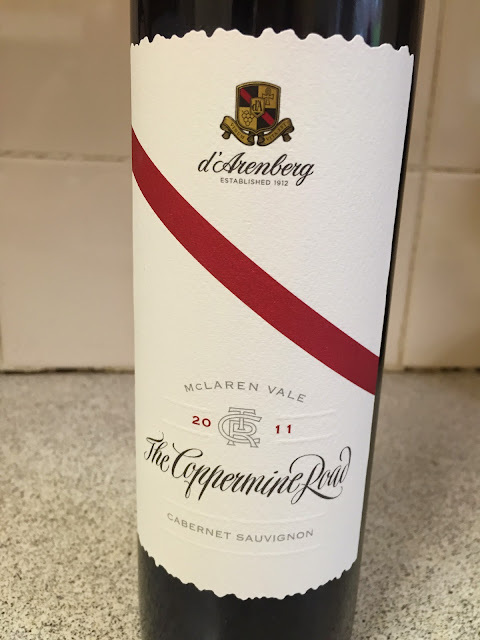 Savoury, leathery blackberry fruits, dry, gritty tannins and some late berry fruit. This is actually seriously good given the caveats, with full ripeness and no excess of extract or fruit sweetness. It’s a fraction drying on the finish, but tastes like quality booze, especially after being open for 24 hours. Would I buy it? Not quite. But still pretty good.